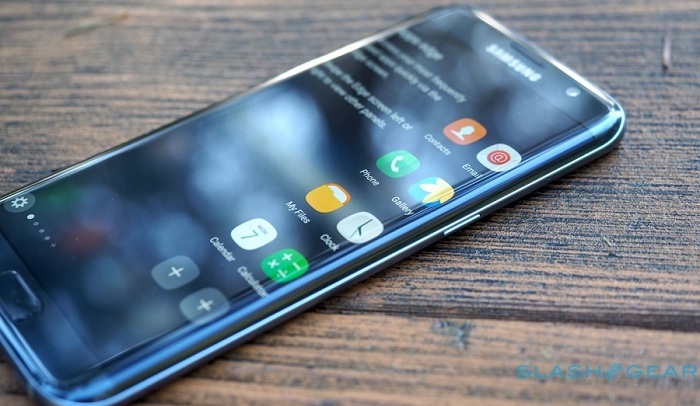 Looking for information on Samsung Galaxy S8 Smartphone launch date, release date, specification, price and other rumor news or speculation around? If so, here you go for it. Gadget, gadget and the latest gadget. You can see or hear this news everywhere around. There is no day that your friend or relative would have missed to talk about any latest Smartphone or related gadget and even its releasing etc. Yes, this is 2016, and lot of differences on gadgets would have seen now compare to last year 2015 and before. Now, the hot topic is all about either upcoming Apple’s iPhone 7 release or Samsung’s Galaxy S8 gadgets. After the iPhone 7 release rumors and speculations around, now the time is all about Samsung Galaxy S8 smartphone release and its rumors too. There are many speculations about these two devices though their expectation is really high from everyone across globe. Yes, these two devices are well known and people normally eager to know each other’s specification detail and competition among. Leaving aside about iPhone 7 smartphone, we can discuss little bit about the Galaxy S8 rumor news going around. Since the consumers are already enjoying the Galaxy S7 and S7 Edge smartphones handy then there is some more good news for them and others who would like to get advance device than the current one during end of the year or the first quarter of the next year 2017. Whatsoever, most of them assume that Galaxy S8 would release with 5.5-inch with 4K display / VR, beside that it would have Google's Android Nougat OS onboard. Some source says that Galaxy S8 may release 4K screen, USB-C and SD830 chip etc. and some other sources says that S8 might be using a newer processor since Galaxy S7 already available with Snapdragon 820 which is going well. The Virtual reality is the end user would like to have all about the bigger screen with the finest quality of camera result along with many apps and new features. Another question is all about the Google Android’s Daydream VR for selected branded devices. When will Samsung Galaxy S8 release? As per history as below, expert and resources says that Galaxy S8 may release in March / April 2017. Once we know the date of MWC 2017 then we can have a clear picture on launching date of Samsung Galaxy S8, officially. The first question is what’s the specification of Samsung’s Galaxy S8? The specs of S8 would or may come with Google Android’s Nougat OS beside Android Daydream VR feature possibly. The screen size of Galaxy S8 might be a 5.5 inch as world expected likewise as a trend. The other one is all about its processor, yes, it must be same or better than Snapdragon 820. There’s a clear indication of 5.1-inch panels over here, however, it may upgrade to even 5.5 inch as per current trend. Since Samsung's Galaxy Note 7 is on pre-order in the selected countries, which created big temptation among its fans and they unlikely to wait for next year's Galaxy S8 device. This is very important to note that Samsung fan wishes to bring back the exchangeable battery for its gadget, if not, LG can chase them anytime. Galaxy S8 price rumor: It would be around $750-$800* (officially not confirmed yet). Tips: If you are planning to buy a smartphone anytime soon then wait for S8 too in case if your budget match to grab it. Here you go, Intex Technologies uneveiled its latest offering in the Aqua Series - Aqua Power HD 4G with a 1.4 GHz Octa-Core processor. If you are looking for cheap and best smartphone then this is one of the option for you to grab. The smartphone will be available at a competitive price of INR 8,363/-. You can buy from online source as well. As you know, there are many Smartphones brand launching every other day a different series of Smartphone which every gadget comes with an unique features and little different specification, to be noted. 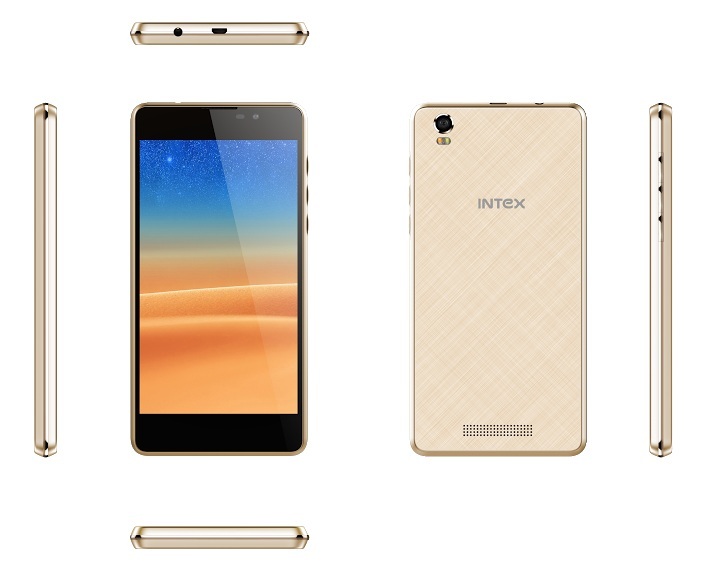 Intex too in this row and chasing well by introducing up to date and advance device. This time, Intex has launched its Aqua HD 4G Smartphone. You may go through the below detail to know more about Intex Aqua HD 4G Smartphone features, pricing and technical specification etc. Intex Aqua Power HD 4G comes with 2GB RAM and 16GB ROM. This one supports 4G, and it is a 5-inch HD IPS display device. Aqua Power HD 4G offers a powerful 8MP rear camera with LED Flash and 5MP front camera to capture bright images. The device also comes with other features like smile detection and emergency rescue. Aqua Power HD 4G gives supreme experience to play high end games and also allows multitasking. Its powerful 3900 mAh battery gives more than 300 hours of standby time and 7 hours of talk time. If you are a selfie lover then you can get your choice of Smartphone over here, yes, Intex Aqua Power HD 4G would help you for finest selfie output. It has of course WiFi features too. The device comes pre-loaded with Matrabhasha service that enables communication in 21 regional languages. 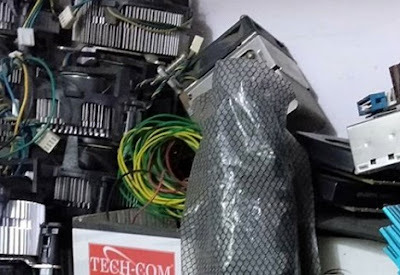 Several other value added services are embedded in this device for a complete experience such as iData Saver, Clean Master, Saavn, MOBIKWIK, and Intex services. Note: You would find Aqua Power HD 4G review anytime soon over here, till then stay tuned. If you would like to buy a budget smartphone then go with Intex Aqua Power 4G Smartphone that comes with Rs. 6,399/-. Are you a traveler and searching for the cheapest hotels or cheapest flight ticket? If so, you are in the right page to get the right information on time to get the things done quickly. 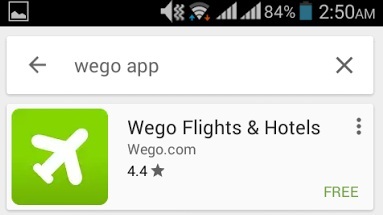 Yes, search all travel deals, in one go, from Wego App. The Flight ticket booking online, flight ticket status checking online, Top International Flight Destinations, Top Domestic Flight Destinations and low price hotel booking or luxury hotel booking online can be done just from Wego App itself. Are you looking for the latest smartphone releases from Huawei? If so, you are in the right page to get the latest updates on Huawei's Flagship P9 smartphone launches in India detail over here. P9 comes with a perfect construct of superior-grade 2.5D glass and an aerospace-class aluminum, with diamond-cut edges rounded out by carefully balanced curvatures. The Huawei P9 comes in a stunning and unique three colours setting new industry standards in industrial design, with the use of techniques including brushed hairlines and metal polishing at micron-level precision to create a translucent metal surface. The Huawei P9 is equipped with the new Kirin 955 2.5GHz 64-bit ARM-based processor for leading-class mobile performance. It comes with Android 6.0 Marshmallow. The 3,000 mAh high-density battery offers the Huawei P9 users outstanding mobility and battery life. 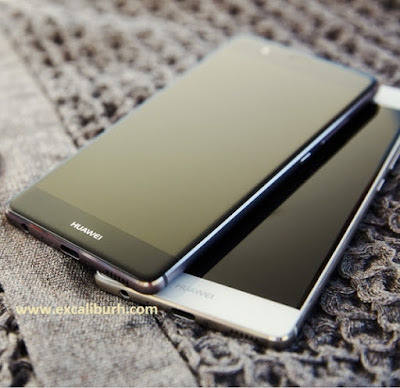 The Huawei P9 offers with new features including a virtual-triple-antenna for users who need robust and seamless connectivity to cellular and Wi-Fi networks to fully harness for internet no matter where they are across globe. The P9 has fingerprint sensor and protects users’ privacy and information security which helps users to personalize and safeguard their devices by significantly. P9 includes 1 year warrenty, 3 months accidental damage warranty (Only Screen), free postal repair service - pick up and drop. Please visit www.hihonor.com/in/support/ for details of the privilege. Huawei Smartphones, the world’s third largest Smartphone manufacturer recently unveiled its much anticipated Huawei P9 gadget in Delhi. Mr. Peter Zhai, the new President of Huawei India Consumer - Business Group, stated that Huawei realized the potential of India as a strategically important market and has big plans for India. Ajay Yadav, Vice President - Mobiles, Flipkart, “Flipkart has always aimed at providing a seamless shopping experience to its consumers and is constantly building its portfolio to offer the best choice of products. The launch of Huawei P9, one of the most awaited phones from the Huawei family, will be retailed online exclusively on Flipkart, reinforcing the trust that consumers have on the platform." The Huawei P9 brings together the best-in-class hardware and software, from optical lenses, sensors, image processing algorithms, empowering users to capture the highest-quality images. The two rear cameras for vivid colors and monochrome images. Huawei showcasing also two other international blockbuster products- the Matebook and the TalkBand B3, those will be debuting in India soon. Huawei P9 and Leica lense help users to choose between three film modes: Standard, Vivid Colors and Smooth Colors, depending on their personal choice. The Huawei P9 hands on review may be available over here at anytime soon. Stay tuned. Yes, P9 is now available in India, you can book it now online at Flipkart. 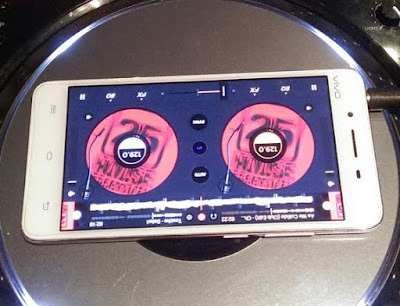 Are you fond of music and would like to enjoy the DJ output from Smartphone itself? If so, read this article to get the best choices of latest Smartphone for your suitable taste on DJ or music to enjoy around with it. I used to experiment and review various branded Smartphones and I am sure that I know little bit about which Smartphone is specialized for a particular category and specialized feature other than normal phone specs, camera, and memory features and on to cover and share with all. Upon going through Vivo V3 HiFi music series Smartphone handy, I came across music feature which is not only an unique one compare to other Smartphone segment but both the V3 series have tremendous overall performance on DJ type music without any small crack on its performance. I too learned a bit from it which I was unaware about the technical power and DJ usage to rock. The best one on V3 series and DJ setting is, you just need to go to that music app where you will get two (Dual) music option and select two different songs as per your choice from your audio / video list then start to play them by synchronizing well manually that even a small kid can adjust the option given and enjoy them with mind-blowing. The dual song with DJ adjustment feature and its result around is simply awesome and everyone can enjoy the music or DJ effect clearly. The volume adjustment and dual song selection in addition to whizz on it etc. are just an extraordinary which I never ever seen on other high-end Smartphone yet. You can make a party at home or office or wherever you are by using this DJ music feature from Vivo V3 or V3max Smartphone. Both the device goes well on this feature along with usual high end Smartphone performance. In general, this unique feature of Vivo Smartphone would be called as the best DJ Smartphone of the year or the best music Smartphone of the year. V3 Smartphone features: It has Hi-Fi music experience, vast memory, specialized with music app, customized Funtouch OS, 4G LTE network and ultra slim metallic body. V3 Max Smartphone features: This one too has an Hi-Fi music experience, audio and video quality, customized Funtouch OS, 4G LTE network and ultra slim metallic body. V3 Smartphone specification: 3 GB RAM and 16 GB ROM along with 4G LTE network support, 5 inch device, HD display, 13MP camera, Android 5.1 (lollipop) and vast memory allows users to download unlimited music, movies and games, surfing and sharing faster and smoother. 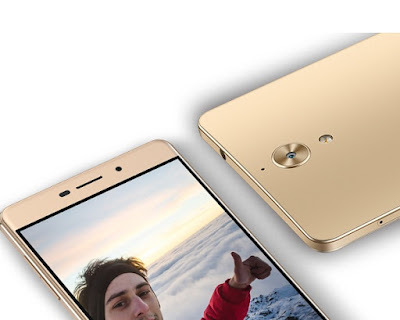 V3 Max Smartphone specification: 4 GB RAM, 32 GB ROM, Qualcomm Snapdragon 652 Octa-core 1.8 GHz processor along with 4G LTE network support, 5.5 inch device, FHD display, 13MP camera, Android 5.1 (lollipop), fingerprint scanner and vast memory allows users to download unlimited music, movies and games, surfing and sharing faster and smoother. The ‘V’ Series smartphones from Vivo enters the Indian market in the mid segment device category with the price range of Rs 15,000 to Rs 20,000. You would see Vivo V3 and V3 Max hands on review on this blog anytime soon. You can also visit Vivo official website at www.vivo.co.in for more detail on various latest smartphone, price, specs and features etc. 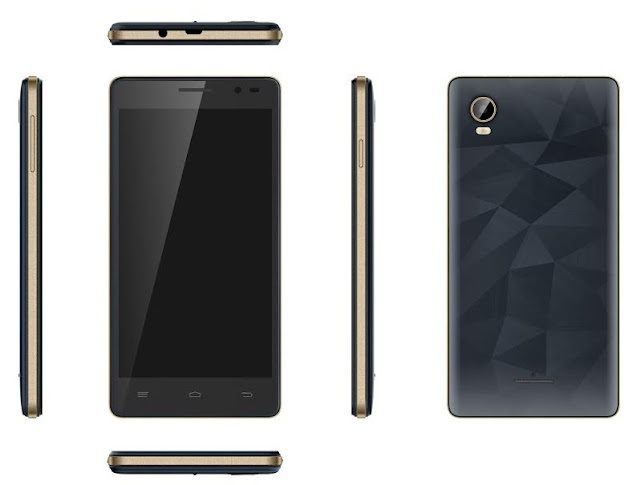 Coolpad India has unveiled its latest Smartphone called ‘CoolpadMega’ with an unparalleled style and design. The Coolpad event for Bloggers on Mega Smartphone launch was held in Bangalore on 12th Aug 2016. Mr. Syed Tajuddin – CEO, Coolpad India clearly stated that their aim is to fulfill the requirement of the users by providing quality commitment beside special and latest hardware and software functionality across.